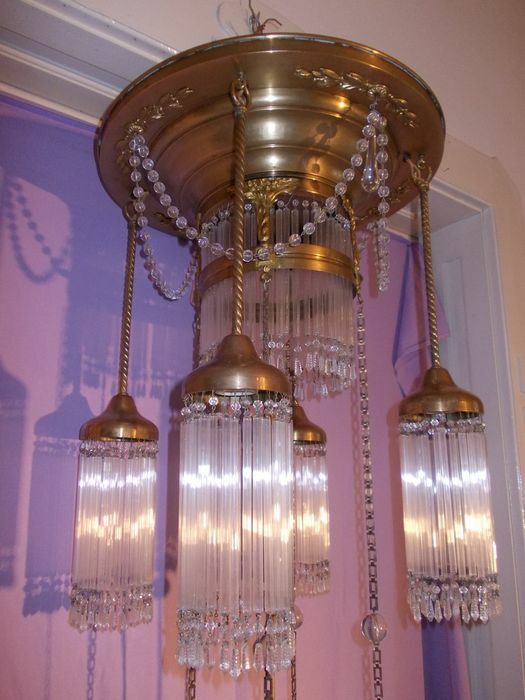 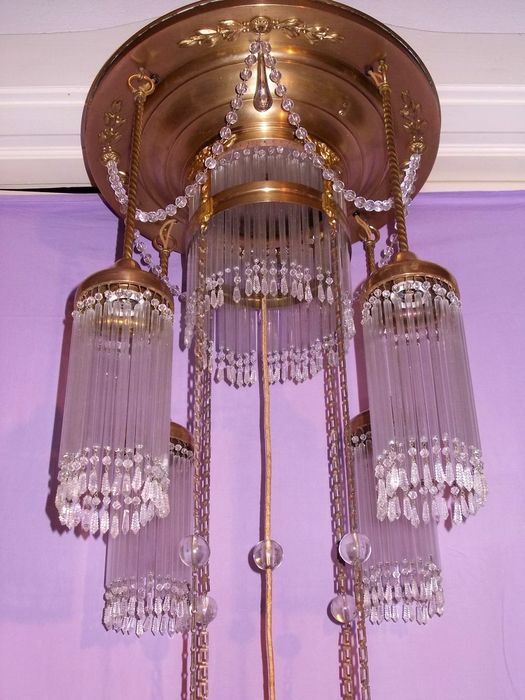 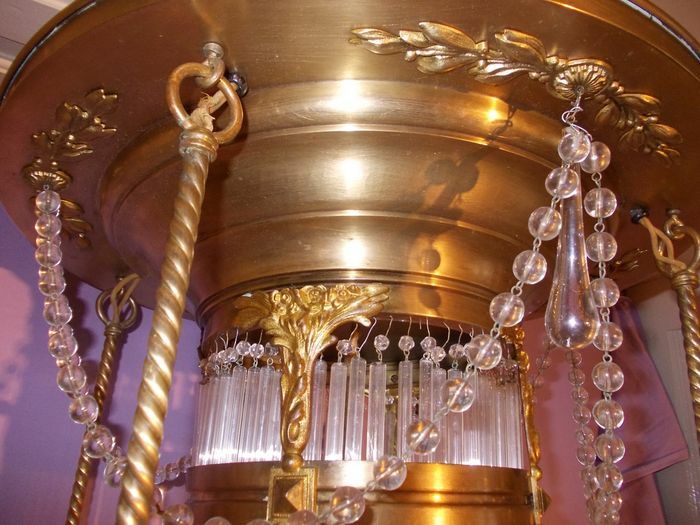 Art Nouveau chandelier made of brass with hangings in shape of glass sticks ( bars ), crystal glass balls lined up on electrical wire and 4 brass chains. 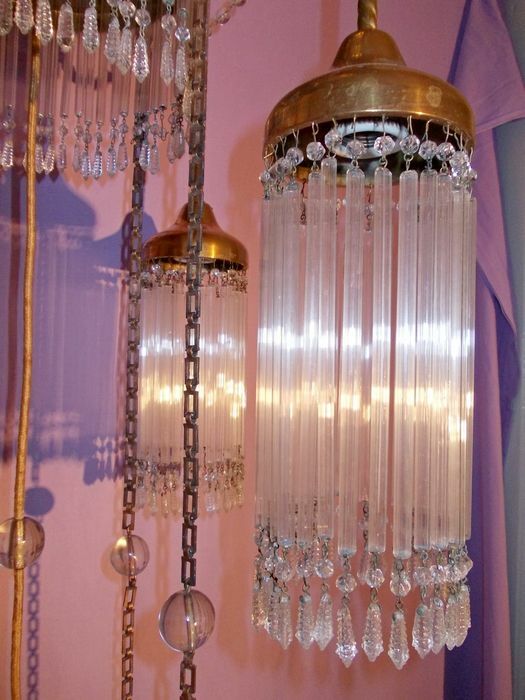 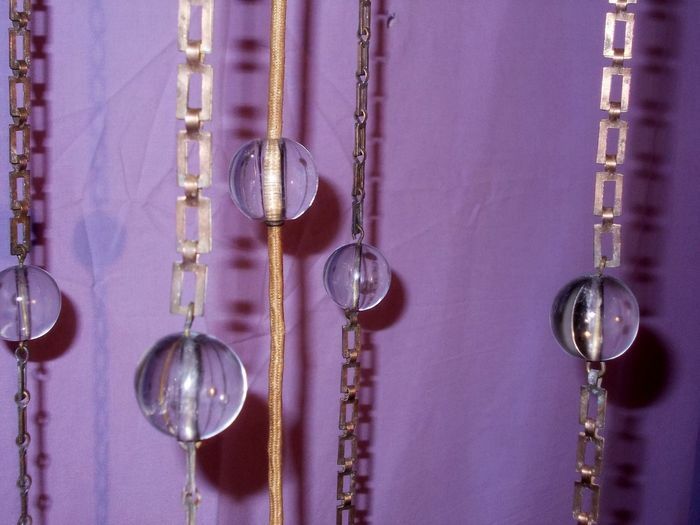 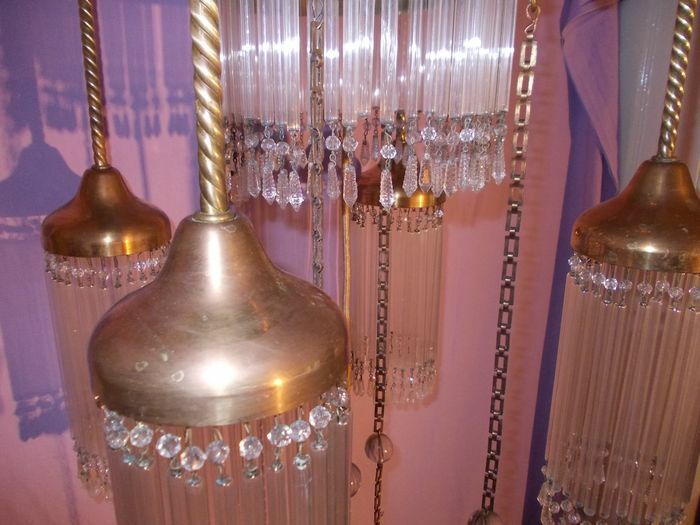 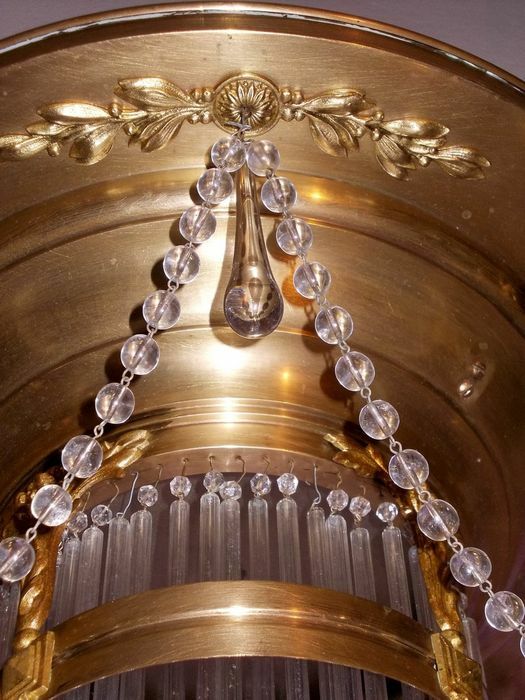 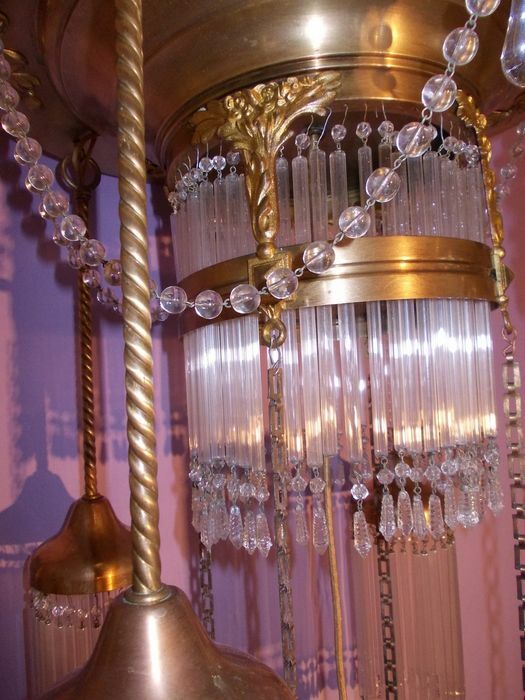 This method of hanging the chandelier on four chains is one that Koloman Moser frequently used! 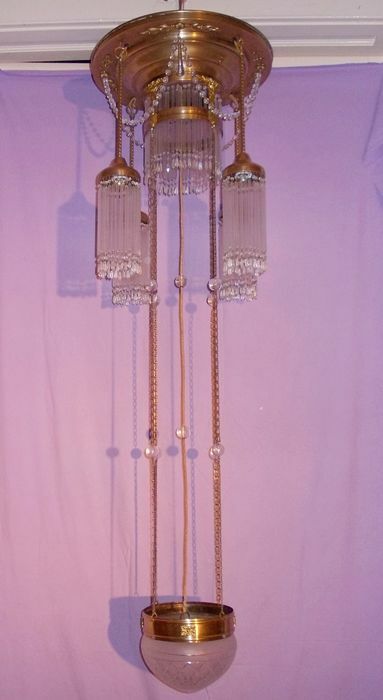 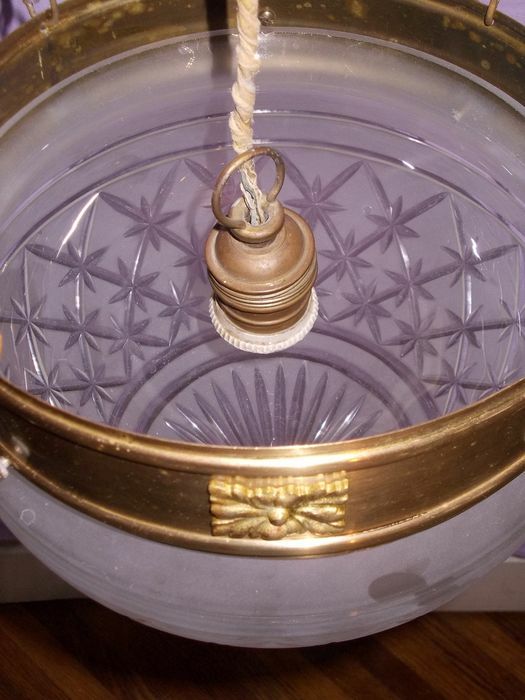 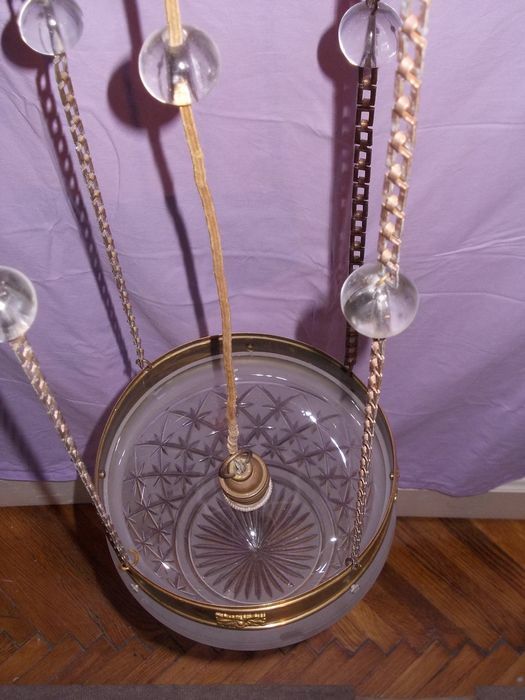 Very good condition for this hanging lamp, missing 5 small cut crystal pieces. 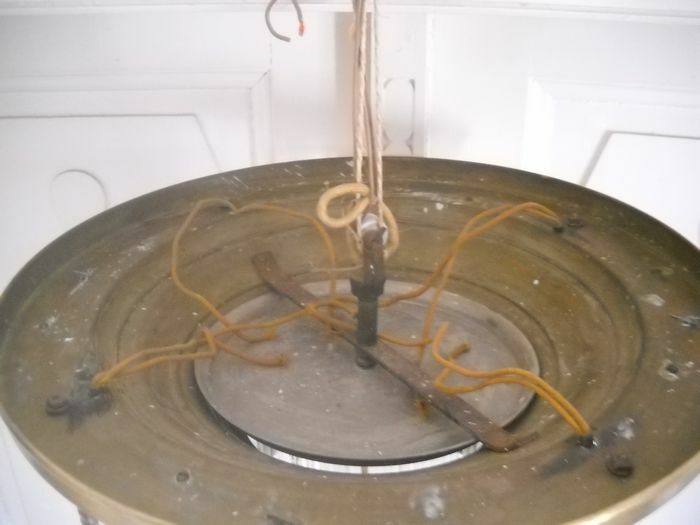 Condition as it can see in the photos! 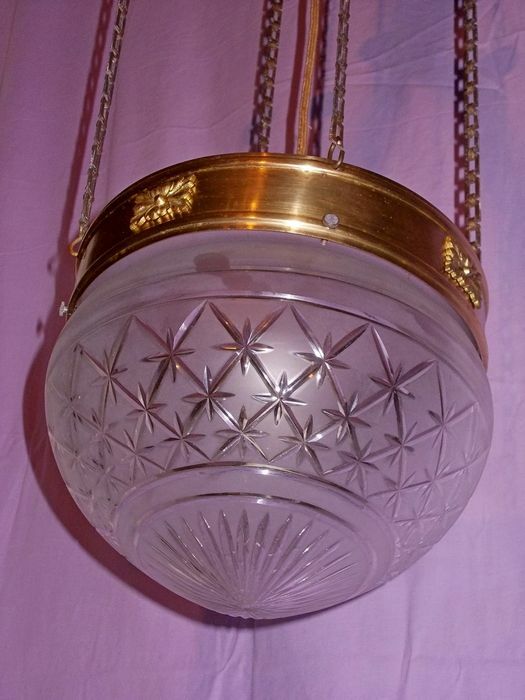 Need cleaning and polishing!